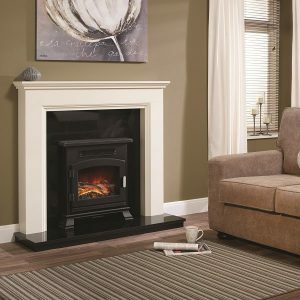 Home » Why Choose an Electric Fire Place? There are a lot of reasons why one would want to choose an electric fireplace. One of the problems that often come with standard fireplaces is the complex installation. Many of them come with regulations that have to be followed. This is not the case with the electric fire as it doesn’t have all the additional components that the other types have. Another great reason for using the electric fire is the freedom that comes with it. It can be used in a lot of areas where a traditional fireplace cannot. They don’t take up a lot of space which is another benefit of using them. Another very important component of the electric fireplaces is their safety factors. There are many different styles of these to choose from. Each of the features that they possess has safety factors that are built into them. One of the great benefits is that they are much safer around children. Children are not as likely to be able to get burned from them as they would from a standard fireplace. Operating an electric fire is much cheaper than using other types. There is the electrical cost but over and above this there are no other costs involved. When it comes to the purchase price most people find that it is much more reasonable to invest in this type of unit. Those that are built with the built-in heaters provide an additional source of heat. This can help to save on the other heating costs. Out of all the different types of fireplaces that may be available the electric fire requires the least amount of maintenance. There are no worries about having to clean out the hearth or the problems with soot permeating the house.